Do not adjust your set. This isn’t a weird fantasy dreamed up by an Internet design guru. 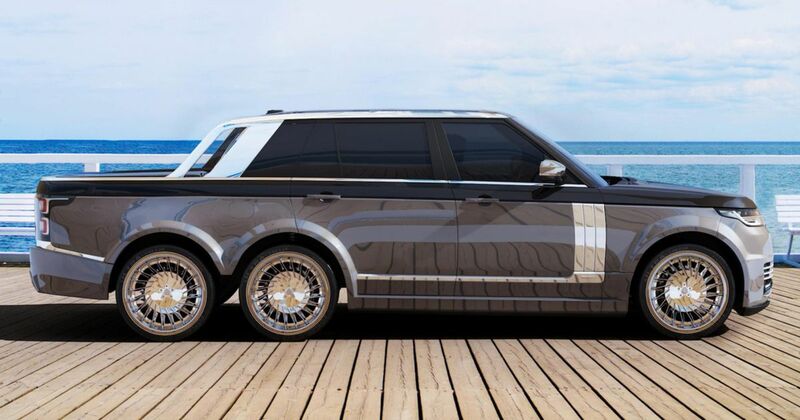 Oh no: this six-wheeled Range Rover is real. Okay, so the pictures are technically renders, but a very tangible version will arrive at the Monaco Yacht Show in September. You’ve all got tickets, right? It’s the brainchild of T. Fotiadis, a Berlin-based design house specialising in yachts and extremely high-end interior home design. Named SLT, or Superyacht Land Tender, this 6x6 monster will turn heads faster than just about anything else out there while you’re wafting between yachts along the Mediterranean coast. Obviously, a normal Range Rover can do the basic transportation bit, but the extra length of the SLT gives more space for luggage. After all, you’d want to bring your entire wardrobe on the trip, just in case. 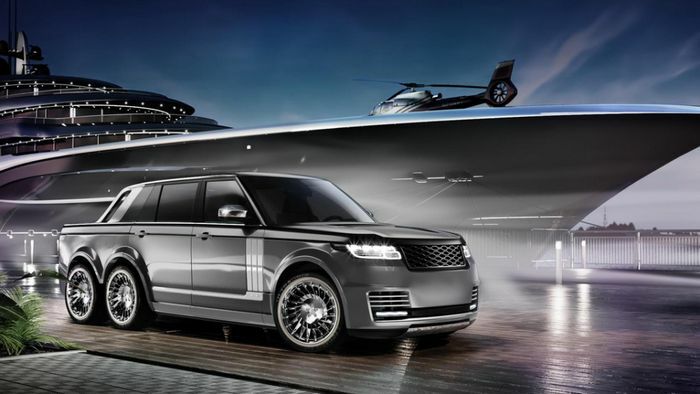 Interestingly, T Fotiadis will let you choose any of the power options Range Rover offers. 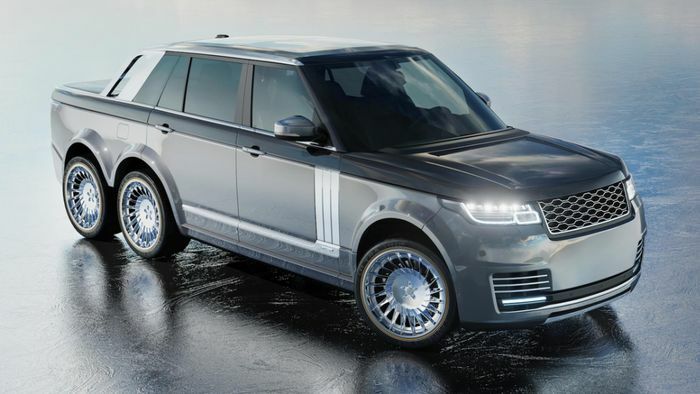 We’re not sure many buyers will look past the supercharged petrol V8 – although the hybrid might get a look in, too. Still, don’t expect to see one at your local Waitrose any time soon. If you’re in the mood for more six-wheeled action, cast your mind back to the Hennessey Velociraptor 6x6, the Kahn Flying Huntsman and the Mercedes G63 AMG 6x6.